Imagine a health condition that disguises itself as many other diseases, all while attacking your own body — that describes lupus. Lupus isn’t common, only affecting 1.5 million people in the United States, but each of these cases can be very different from the next. To sort through the myriad symptoms, you need a rheumatologist such as Tony Makhlouf, MD, at Arthritis and Rheumatology Center, for effective diagnosis and treatment. If you’re in Simi Valley, California, or the surrounding area, and you want to learn more about lupus, call or book an appointment online. Lupus is far more common in women — 90% of those with the disease are female, and it often comes on between the ages of 15 and 45. The primary difficulty with lupus is that it’s often mistaken for other health issues because of the wide range of symptoms. In fact, it’s earned the name “the great imitator” since it presents itself in so many different ways, often leading doctors down the wrong road when it comes to diagnosis. During your appointment with Dr. Makhlouf, he reviews both your visible symptoms and any symptoms that aren’t readily visible. The doctor also performs several tests on your blood and urine to check for particular markers since there’s no definitive test for lupus. Dr. Makhlouf may also order diagnostic imaging to take a closer look at what’s going on inside your body. With a diagnosis in hand, Dr. Makhlouf turns to infusion therapy, which includes biologic response modifiers. This therapy works to reduce your symptoms by zeroing in on your immune system, preventing it from causing inflammation. 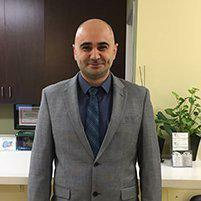 Lupus can be a moving target, so Dr. Makhlouf may adjust your medications as you go, with the main goal of relieving any symptoms that crop up. To learn more about your treatment options, call Arthritis and Rheumatology Center, or schedule an appointment using the easy online booking tool.